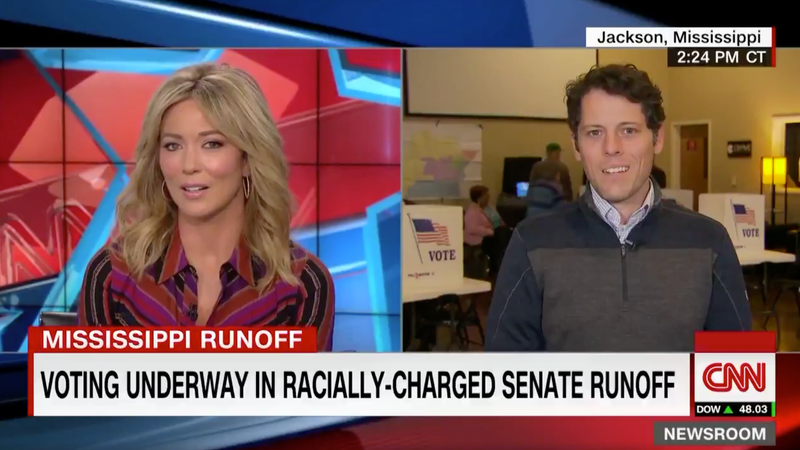 The Mississippi Senate run off election between Republican Cindy Hyde-Smith and Democrat Mike Espy has been racist from the jump. In addition to being a career-long defender of racist legacies and institutions, the newly elected Hyde-Smith recently told a supporter she would be in the front row if a supporter invited her to a public hanging. (More black people were lynched in Mississippi than any other state.) In 2014, she was photographed wearing a Confederate soldier hat surrounded by Confederate artifacts with the caption: “Mississippi history at its best!” As a state senator in 2007, she cosponsored a resolution honoring the daughter of a Confederate soldier who was simply “defending his homeland in a war the resolution referred to as the “War Between the States.” Hyde-Smith’s parents sent her to a “segregation academy” so she wouldn’t have to attend a racially integrated school. The media bought into the pivot and continues to do so, which is both an affront to our intelligence and undermines the safety of those on the receiving end of these “racially charged” comments and policies. It’s just another example of mainstream journalists embracing right-wing propaganda and calling it objectivity.